Holland can definitely be counted as perennial under achievers in the international stage. Barring the Total Football years and the time they won the Euro, they have failed to live upto expectations in any international tournament. This time however, they’ve got quite a good chance of going all the way. The side seems fairly balanced and they’ve had an awesome qualification run. Not to mention their form in recent warm ups where they beat Mexico 2-1 and thumped Ghana 4-1. As I mentioned before, the Dutch have a fairly balanced side, although you can definitely say that their attackers are far more renowned than their defenders. This is certainly true and I think the Dutch midfield will hold the key to them doing well in this tournament. 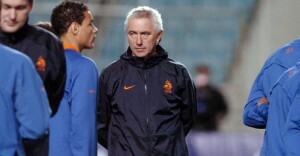 The Oranje have Mark Van Bommel and Nigel De Jong playing in the center of the park. Van Bommel is a bit of a creative player and will most likely play a deep lying playmaker role. Nigel De Jong will be doing the dirty work and solidifying the defence. A lot relies on Van Bommel’s ability to spread the ball around and find more attacking players in the form of Sneijder, Van der Vaart, Van Persie and Robben. Moreover, Dirk Kuyt will play on the wings thereby giving license to the other three players to roam. 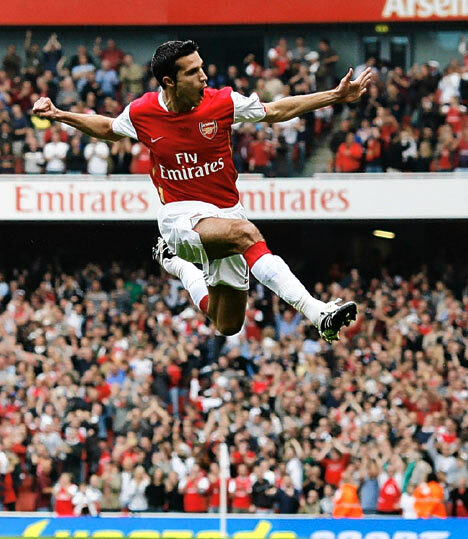 With Van Persie as your striker you have one of the best in the world. Moreover Sneijder has had a fantastic season with Inter Milan and the same goes for Robben with Bayern Munich. While they are classified as midfielders, there’s no doubt in my mind that Bert van Marwijk will expect them to compliment the Arsenal forward’s goal scoring. The defence for the Dutch has always been shaky and even this time it is not the best in the world. Although they are pretty solid, one must question their ability to keep a cool head and not make mistakes on the (arguably) biggest footballing event in the world. Mathijsen and Heitinga are two solid centre backs and they should be okay with De Jong doing the donkey work right in front of them. They’re good, but certainly not the same class as Pique and Puyol, for example. That’s probably what makes them a little vulnerable. Gregory van der Wiel is a talent to watch out for in the team and is widely regarded as a phenomenal full-back. The experienced Giovanni van Bronckhorst is expected to play as left back. Khalid Boulahrouz (luckily) is going to be on stand by and ready to step in. I must admit that the last time I watched him play was Euro 2008 where he wasn’t half as bad as he was when at Chelsea. Stekelenburg is a good keeper and a worthy replacement for Edwin Van der Sar. The main problem that coach van Marwijk faces is whether or not to include Rafael Van der Vaart in the line up. He just showed his capabilities with a goal and an assist before finally going on to win the penalty that Van Persie slotted home. It definitely is nice to have a player like that who can come on and change the entire way the team plays, and is probably why I think he’ll be on the bench with Dirk Kuyt starting instead of him. Another player who the Dutch have who I haven’t talked about yet is Ibrahim Affelay. He too is a talented attacking player, but isn’t expected to start with the awesome quartet mentioned earlier. Prediction – The Dutch have a pretty tough group. Denmark has played well during qualification and Cameroon can always pull off an upset. Japan too is a fairly decent side. In spite of all this, I think it is fairly realistic to say that I expect them top Group E. Being a fan of the Oranje, I hope they go all the way. Otherwise I’d probably say Quarter finals or Semi’s. There’s a very high chance that they’ll play Brazil in the Quarters, so let’s just hope that the works out.